The first Prime Minister of Sri Lanka was Don Stephen Senanayake. He was born on October 20, 1883 at a remote village titled Botale, Meerigama. His father was Mudaliya Don Speter Senanayake. Mother's name was Dona Ketherina Elishabath Perera Gunasekara. D S Senanayake had two brothers and a sister. Parents adopted their children according to a Buddhist background. However, Senanayake was educated at St. Thomas Christian College in Colombo. At that time, hostel wardens, both Buck and Stone identified his talents and qualities. Then, they acted to sharpen his talents and qualities. In Senanayake's later years, he was able to win the heart of leading politicians of the world due to his education background. D S Senanayake served in the Surveyor's General Department for a short period. Then, he resigned his post and joined his father's plantations, as a superintendent of state. This sturdy youth developed the rubber cultivation in his father's lands. 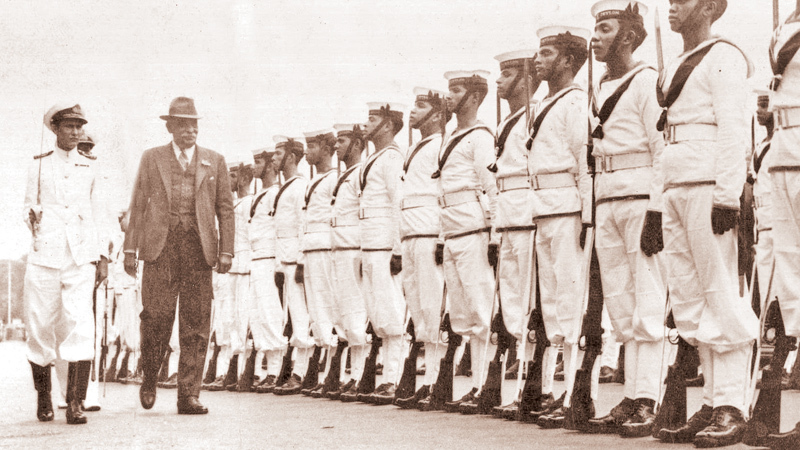 With the inception of World War I in 1914, D S Senanayake joined, as a city guard in Colombo town. When Sinhala and Muslims commotion emerged in 1915, Senanayake and his brothers were arrested on bogus charges and imprisoned. Later on, they were released from the Welikada jail. There were no provable evidences against them. F R Senanayake, D S Senanayake, D B Jayatilaka and other leaders determined to gain national freedom from imperialistic rule s in 1915. D S Senanayake was one of the leaders who led the national independence movement. He rendered an eminent role in the national independence movement. In its inception, D S helped his elder brother, F R Senanayake. Three brothers were engaged on active politics. D C Senanayaka and D S Senanayaka were outstanding members of the Ceylon People's Council. At the initiative age of the national independence movement, D S Senanayake followed D B Jayatilaka and F R Senanayake. However, D S actively joined the freedom struggle after F R Senanayake's untimely death. He directly interfered the political and state affairs. In 1924, this youth entered the Legislative Council. 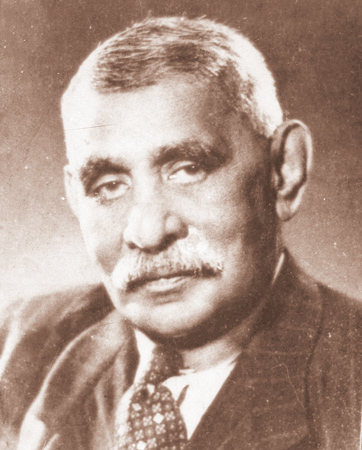 Later in 1931, Senanayake was elected to the State Council. He was sworn in, as the Minister of Agriculture and Lands. This Minister held this post for fifteen years. Effective solutions were given for agricultural problems by him. He was entrusted with formulation of Land Development Ordinance. Senanayake together with his members spent two years to collect correct information. The Land Development Ordinance was presented and passed in the State Council. He prioritised to renovate ancient tanks and to make our country self-sufficient. In addition, Senanayake did everything to cultivate barren lands. An agricultural policy for solving rice problem was submitted by him. Agricultural innovation was also beefed up for the purpose of enhancement of output. However, he appreciated traditional methods and systems. For example, Senanayake admired the system of ploughing paddy fields by using cattle. He was of the view, cow dung could be used, as fertilizer. Senanayake was a member of Ceylon War Cabinet during the Second World War. At that time, he had to face reduction of foreign rice supply. Therefore, he made arrangement to commence new trades with new countries, such as Brazil and Egypt. Necessary wheat floor was scarce during the terrible Second World War. As an effective solution, importation of wheat was enhanced in ten fold. After Senanayake laying the foundation to co-operative movement, attention was focussed to co-operative development. Several steps were taken to develop the agricultural field that was recognised, as major income source of rural folks. Senanayake devoted his life to launch major irrigation schemes, such as Galoya scheme. In addition, colonization scheme was started by the Minister of Agriculture and Lands. Hence, he was considered as the symbol of Parakrama Bahu the great. In addition, D S Senanayake was dubbed “Jungle John”. In the year of 1942, Leader of the State Council, Sir D B Jayatilaka resigned from his posts and left for India to accede the post of Sri Lankan Ambassador to India. Then, D S Senanayake became the leader of State Council. He led the country towards the independence avenue. Senanayake was internationally recognised in the struggle of gaining national independence to his motherland. At the general election held in 1947, United National Party led by Senanayake obtained a majority. As a result of that, a coalition government was set up and Senanayake became the first Prime Minister in Ceylon. This veteran politician rendered a distinct service to the country and its people. From 1947 to 1952, he was able to win the respect of people such as Sinhala, Muslims, Ceylon Tamils and Moors, Sinhalese and Muslims loved him very much. However, Indian Tamils had a resentment with him. The Citizenship Bill was passed in parliament. Indian Tamils were deprived the universal franchise due to the Citizenship Act. Senanayake acceded the past of Minister of Defence and Foreign Affairs in addition to Prime Ministership. He was fortunate enough to maintain an excellent relationship with British rulers. This leader became a member of Privy Council. Hence, English rulers appreciated his abilities and got ready to confer a knighthood. But, Senanayake rejected it. He was a capable horseman. In his free time, he used to ride his horse fast. Senanayake passed away on March 22, 1952 in Colombo because he fell from the horse. His untimely death was an irreparable loss to Sri Lanka.